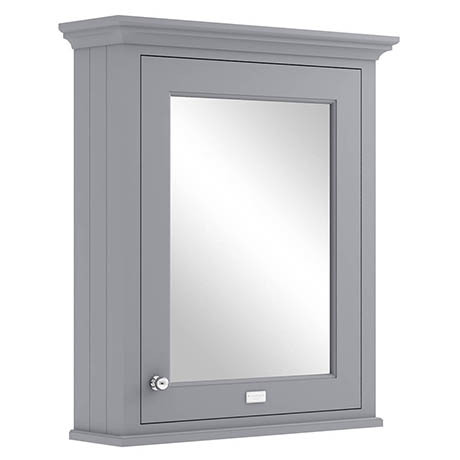 The Bayswater Plummett Grey Mirror Wall Cabinet will create a unique centre piece to any classic themed bathroom. It provides additional storage for bathroom essentials while the soft close door limits the daily wear and tear and provides a quieter closing action. Made from high quality materials, it features side panelling for a classic look and an elegant chrome knob and Bayswater logo plate that beautifully finishes the cabinet.